What you will learn during C and C++ training in Zirakpur helps the students to develop core programming skills and understand how to apply logic to programming. Students who learn C and C++ can easily move on to other programming languages as C and C++ are considered the foundation of all types of programming. 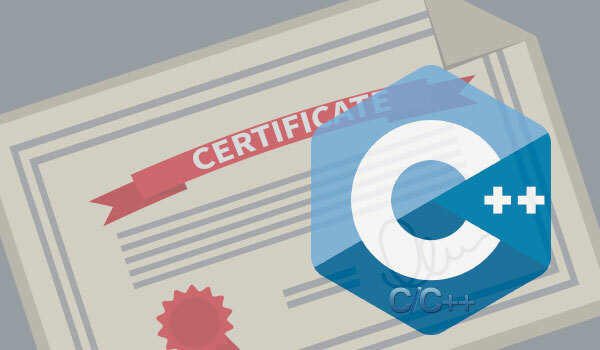 C and C++ as related in such a manner that C++ is a Super Set of C language and this is the reason that any program developed in C can be upgraded in C++ with OOP’s. The structure of training in C and C++ makes it easy for students to understand the concepts, learn from real and latest examples and apply those learnings in the practical world. The combination of the renowned C and C++ trainers with the excellent lab facilities give students of Easy Web an edge over students from other training centers. Easy Web offers 45 days, 3 months and 6-month industrial training and Internships for the students of BTech, MCA, BCA, and MSc. which is mandated by the respective courses. Students are required to work at Easy Web during these industrial training which adds a lot of value to their professional profiles and resume. Students from nearly all well known educational institutes have taken industrial training in C and C++ in the past. Industrial training in C and C++ is provided by lots of ‘institutes’ or ‘companies’ in and around Chandigarh, Panchkula, Zirakpur, Baltana and Peer Muchalla but very few students/trainees get an exposure to work on live projects and practical work that is provided by the team of mentors at Easy Web. In the initial part of C and C++ industrial training, the students have to work on sample projects (which are similar to live projects) to gain exposure and learn the processes. Thereafter the trainees are required to work on live projects as part of a team. During the C and C++ industrial training, the students/trainees learn how to work within a team, as a team, work independently and also how and when to take initiatives when working as part of a development team. Industrial training in any of the streams at Easy Web Peer Muchalla is a great opportunity to learn. Students get to learn how to work on live projects while also getting an edge over their peers by gaining invaluable experience.